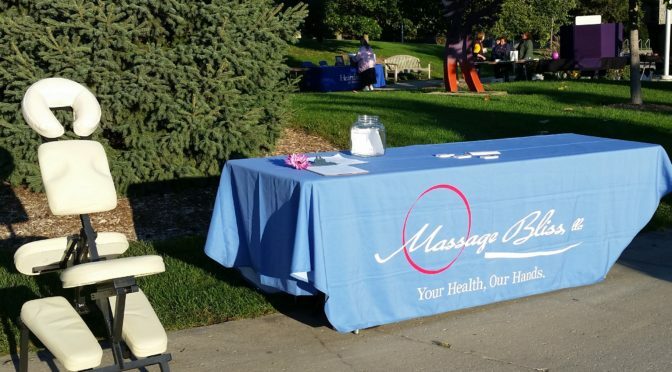 We offer on-site employee appreciation massage. 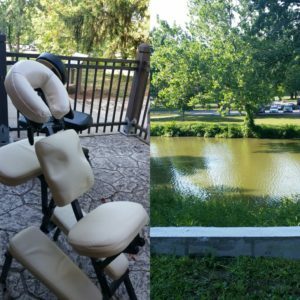 There are a few options to choose from, including, chair massage, table massage, or reflexology chair massage. Our on site rate is $1.25/minute, with each massage typically lasting 5 to 15 minutes per person. This is a great way to say thank you to your employees for all of their hard work, with the benefits coming directly back to the business. A quick massage during the work day has been proven to boost moral and productivity of employees. 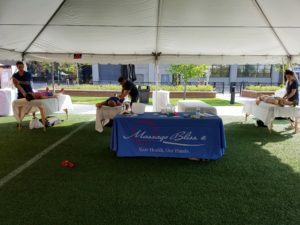 This type of massage is a fabulous way to give your employees the extra energy needed to get through the work week without feeling stressed and instead feeling revitalized! We also offer these services for company parties, or any public or private event you would like us to attend!